The Fashion Law Institute's unique annual Summer Intensive Program, fondly known as Fashion Law Bootcamp®, is your opportunity to experience the field of fashion law outside of the regular law school curriculum. It's an unparalleled opportunity to delve into the substance of style, with emphasis on current business and legal issues involving the global fashion industry. Participants will also have the opportunity to meet fashion industry leaders and Fashion Law Institute faculty, who teach the Fashion Law curriculum at Fordham Law School and themselves have worked with major brands, such as Tiffany, Kering, LVMH, Wilhelmina, Ford Models, and Conde Nast. The program is run by Professor Susan Scafidi, Founder and Academic Director of the Institute, who pioneered the field of fashion law. She is the first professor to create a course in the area – covering the same material as the Fashion Law Bootcamp® East Coast edition– and is internationally recognized for her expertise. The program will also feature guest lecturers from the fashion industry. 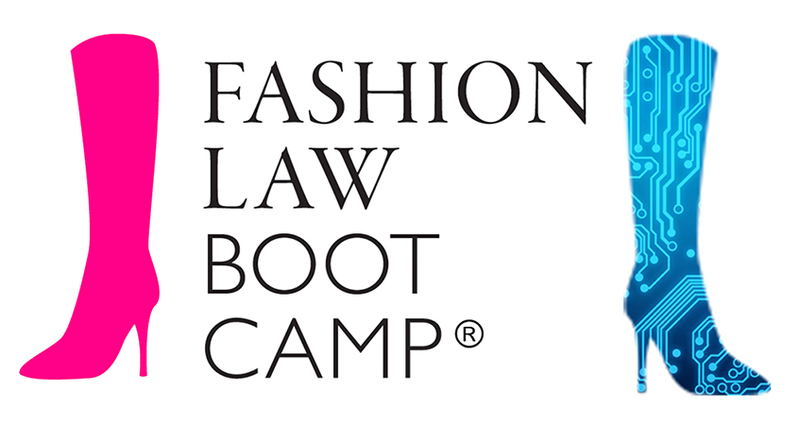 Fashion Law Bootcamp® is open to lawyers, fashion industry professionals, law students, and others in the U.S. and abroad who are interested in broadening their knowledge of the law and business of fashion. The program is an excellent way for fashion industry professionals to gain a more comprehensive understanding of the legal issues that they deal with on a regular basis, or for practicing lawyers to expand their current practice or even jump start a change in career. Individuals who have not yet had academic or practical exposure to the law and business of fashion, including design students and other undergraduates entering their final year of study, are eligible to apply but must have a demonstrated scholastic aptitude and willingness to take on the challenge of studying legal materials. As always, our series of Fashion Law Bootcamp® intensive programs are eligible for CLE credit -- more details below. Law students: Up to 2.0 law school credits for the East Coast edition (if granted by your home institution; for additional information, please email bootcamp@fashionlawinstitute.com before applying). Lawyers: Both newly admitted and experienced attorneys will receive a maximum of 28 transitional and non-transitional, professional practice New York State CLE credits, for the New York Edition. California CLE credit certification renewal for the San Francisco/Silicon Valley edition is pending; based on previous years, the amount of CLE credits for this version should be 14 transitional and non-transitional, professional practice New York State CLE credits, and 12.0 CLE credit hours for California. East Coast: $2,450, which includes all expenses associated with the program (except for room and board), including printed materials and special events. A $250 deposit is due with the application. The deposit is applied toward the program cost and is non-refundable once accepted into the program (i.e., it's refundable otherwise!). A $250 deposit is due with the application. The deposit is applied toward the program cost and is non-refundable (unless not accepted into the program, in which case the deposit is refunded). If you prefer check, money order, or wire transfer, please let us know and we'll provide the requisite information!